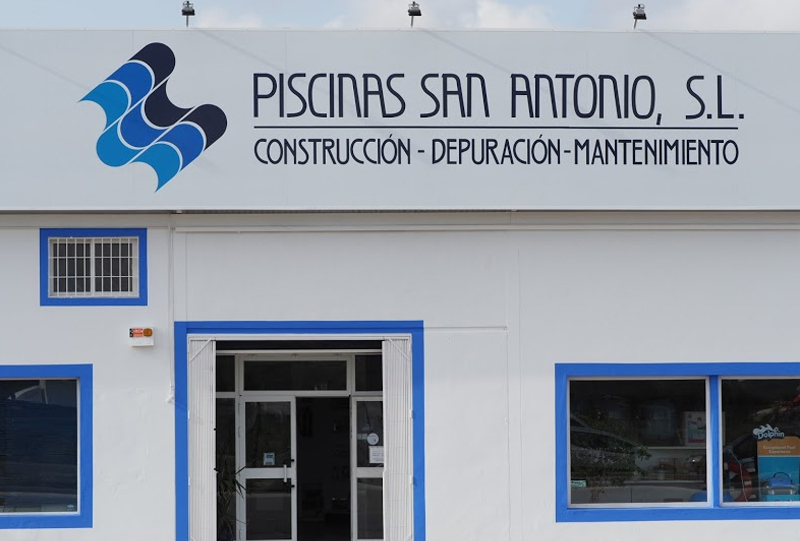 Our company offers the best sports solutions, we have high quality products to achieve the perfect finish, such as concrete, PVC floors or resin floors and epoxy paint for floors. In the broad spectrum of veteran amateur players, most act on concrete tracks, much more widespread due to the resistance of material and because they do not need as much maintenance as those of dirt or grass. Being a completely flat floor also favors the player, being more precise and more complex beating than the terrain makes difficult the intentions of the blows. WHAT KIND OF TENNIS COURT DO WE FACE? The tennis courts are perhaps the best-known types of this sport, beyond the balls or rackets that have more technical conditioning, and are more unknown to the average amateur player. However, the clues are more to the order of the day and who more who least know that they are divided into two large fields, fast and slow; being last those of beaten earth; and the fast cement, grass and carpet. Ask us for a budget for your paddle tennis or tennis without commitment because you will be dealing with real professionals of the sector and specialists in sports solutions. 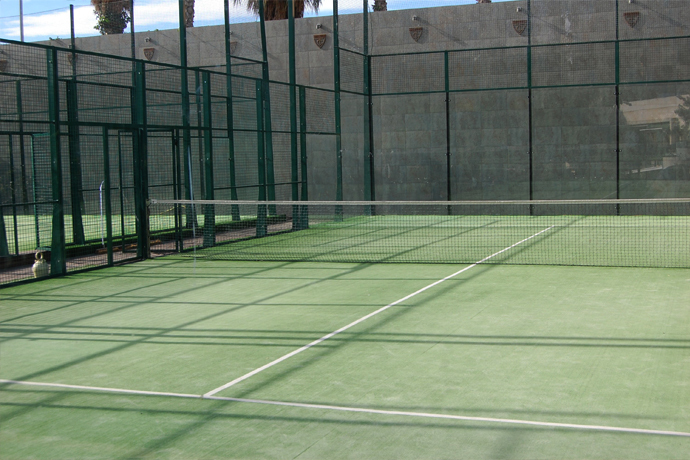 We take care of the construction, manufacturing, installation and maintenance of paddle and tennis courts. An ideal and unmatched complement to your pool. Insulating and sports glazing with float glass or extra clear glass, which allow a better view of the track. 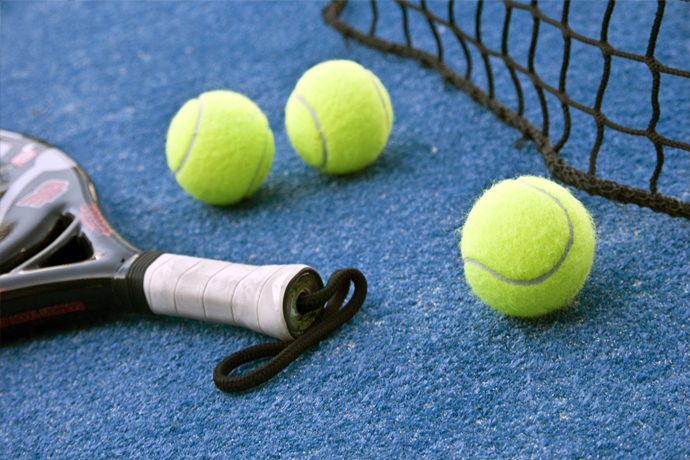 Hard surfaces, also known as cement surfaces, are the most common in modern tennis. They have much lower cost and maintenance work than the clay courts, and are much less affected by inclement weather. The synthetic tracks offer the maximum comfort and quality of the game. The track lining is designed to obtain a perfect ball boat and also to extend the life of the track, either outdoors or indoors. 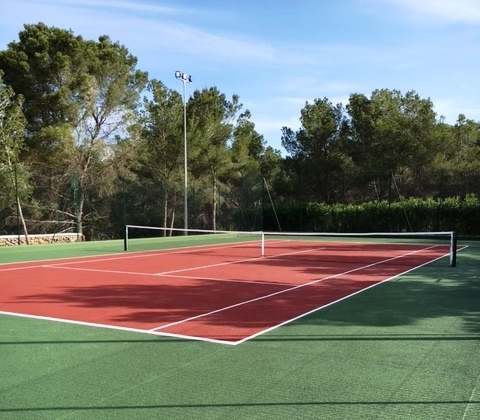 The GreenSet surface is neither slow nor too fast, suitable for all types of play, indoor and outdoor courts, and conveys a great sense of comfort to the players. The grass is the original surface of tennis. It is a fast surface, irregular boat, relatively little used. The construction and maintenance of this type of surfaces is burdensome and complex. At present, tracks are being built with artificial grass weighted with silica sand, which gives us a surface with long durability and low maintenance cost. The first popular alternative to grass surfaces was the construction of dirt tracks. The material with which they are built is clay. Although they are relatively expensive, they require considerable maintenance work, periodically replenishing and matching the material. Daily they must be watered with water and during the meetings it must be swept, in order to smooth the marks and irregularities caused by the sports shoes and the bouncers of the ball. The essential characteristic of the clay track is the slowness of the boat and the possibility of the player “skating” on the ground. This leads to a more defensive type of game, sustained from the baseline, in which the point lasts longer, with more passes over the net, requiring a greater preparation of both to win it.